It’s a simple concept: skin care that packs a punch by delivering sustained contact for targeted results, all within five to fifteen minutes, a couple times a week. 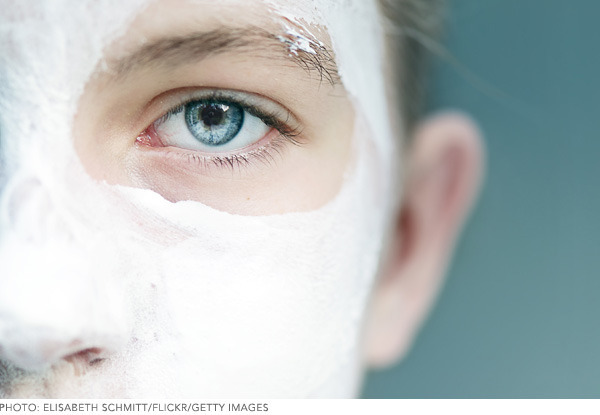 Now, with so many cream masks, peel-off masks, sheet masks, and facial peels crowding the market, how do you know which method is best suited for your skin? Follow our guide to clear up any confusion in the shopping aisle. These are the most common and affordable. 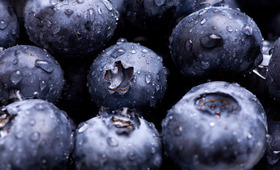 They’re usually opaque, and the benefits can run from detoxifying, clarifying, and blemish-targeting (for oily skin) to hydrating and anti-aging (for dry or mature skin). Bonus: These are usually gentle, so you can even use them overnight. Spot-treat with your anti-blemish mask, or smooth a thin layer of a hydrating mask in place of night cream before bed. 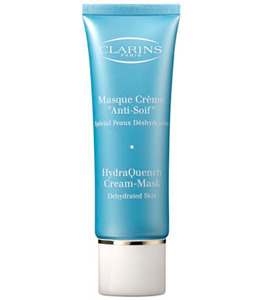 Beautylish recommends: Clarins HydraQuench Cream Mask—smells divine and has transformative powers as an all-over treatment overnight. 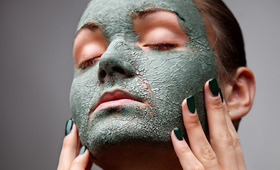 Another staple of the mask genre, these treatments harness the natural antiseptic and drying properties of clay or mud to detoxify and rid your skin of impurities. Use them post-shower for extra spa-like pore cleansing. 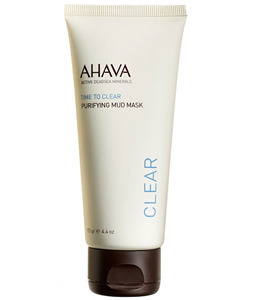 Beautylish recommends: Ahava Purifying Mud Mask—clears blemishes but nurtures inflamed skin at the same time, and great as a spot treatment for surprise zits. Remember those translucent masks that peel off like a bad sunburn? We totally used these as teenagers just for that satisfying skin-stripping feeling, but it also helped clear up our blackheads and remove dead skin cells too. Smooth this super-sticky gel on, wait until your whole face feels dry and tight, then peel that sucker off. Voilà—skin looks bright and refreshed. 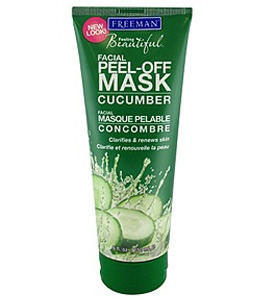 Beautylish recommends: Freeman’s Cucumber Facial Peel-Off Mask—another drugstore standby. Innovative sheet masks have gained traction recently. Long popular in Asia, the idea behind sheet masks is sustained, targeted contact with skin. These white full-face fabric masks can look a little Texas Chainsaw Massacre-y, but you won’t care when you see the results. Bonus: no muss, no fuss—most of these masks don’t even need to be rinsed off! 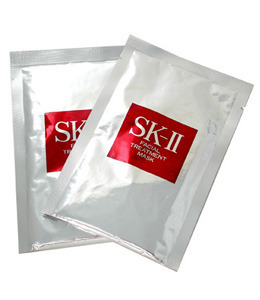 Beautylish recommends: SK-II’s Facial Treatment Mask—formulated to be a more targeted delivery of the brand’s ultra-famous facial treatment. 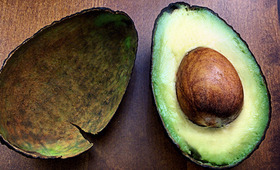 Think of these bad boys as the turbo-mask: an intense skin-changing facial at home. 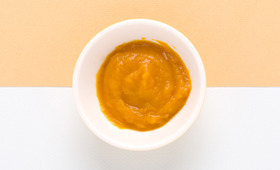 They’re great for treating hyperpigmentation and fine lines, but you shouldn’t use them more than once a week at most. Glycolic acid, retinol, and other powerful chemicals are what gives these a slight tingling sensation on the skin (don’t forget, tingling = good, burning = bad). 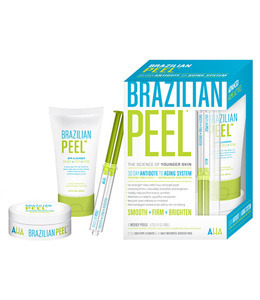 Beautylish recommends: Brazilian Peel Antidote to Aging System—a professional-strength glycolic peel that leaves skin glowing. Slumber Party D.I.Y. Beauty Ideas!